While it should come as no surprise, sources tell Pens Initiative that the Buffalo Sabres will hire Penguins Associate General Manager Jason Botterill as their new General Manager. With word swirling over the past few weeks that Botterill had not only been in for one interview, but multiple, the hiring of Botterill seemed to be all but an afterthought that he would take the position, vacated by Tim Murray on April 20th as the Sabres dismissed Murray and former Penguins coach Dan Bylsma. Our sources tell us that the announcement of Botterill's hiring could come as soon as tomorrow. Botterill made his name with the Penguins as being a bit of a salary cap wizard as well as overseeing the movements of the Wilkes-Barre/Scranton Penguins. Under Botterill's eye the Baby Pens have seen some of the more successful times in their history. They've also seen multiple coaches elevate to the position of NHL coach, including current Penguins head coach Mike Sullivan. Botterill is no stranger to Buffalo. From 2002-2005 Botterill played in the Sabres organization, splitting seasons between the Sabres and their AHL affiliate Rochester Americans. 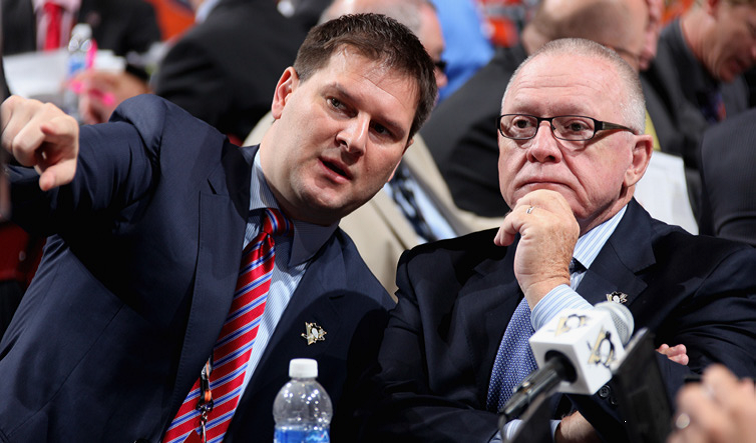 Thought to be the heir apparent to Jim Rutherford, Botterill's hiring away means some uncertainty in the future for the Penguins leadership. However given Rutherford's success he may not be in any rush to step down, hence the permission for Botterill to move on.